Bogart directed episodes of the television series ‘’Way Out’’ in 1961, Coronet Blue in 1967, Get Smart , The Dumplings in 1976, and All In The Family from 1976 to 1979. Among his films are Oh, God! You Devil ,  Torch Song Trilogy ,  Marlowe , Halls of Anger , Skin Game (both starring James Garner), and Class of '44 . He won five Emmy Awards during his long career. Coronet Blue is an American TV series that ran on CBS from May 29, 1967, to September 4, 1967. Get Smart is an American comedy television series that satirizes the secret agent genre that was popular in the United States in the late 1960s. The program was created by Mel Brooks and Buck Henry, and had its television premiere on NBC on September 18, 1965. The show stars Don Adams as agent Maxwell "Max" Smart, a.k.a. Agent 86, Barbara Feldon as Agent 99, and Edward Platt as Thaddeus, the Chief. Henry said that they created the show at the request of Daniel Melnick to capitalize on "the two biggest things in the entertainment world today": James Bond and Inspector Clouseau. Brooks said: "It's an insane combination of James Bond and Mel Brooks comedy." 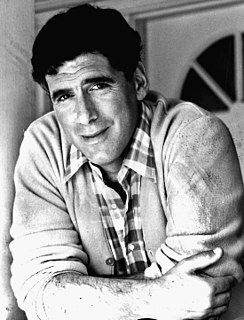 Elliott Gould is an American actor. He began acting in Hollywood films during the 1960s. In addition to his performance in the comedy Bob & Carol & Ted & Alice (1969), for which he received a nomination for the Academy Award for Best Supporting Actor, Gould is perhaps best known for his significant leading roles in Robert Altman films, starring in M*A*S*H (1970), The Long Goodbye (1973) and California Split (1974). Pinocchio, a 1957 television production of Pinocchio, is a live musical version directed by Paul Bogart and starring Mickey Rooney in the title role of the puppet who wishes to become a real boy. Based on the novel by Carlo Collodi which also inspired the Walt Disney animated film, this version featured a now-forgotten new score by Alec Wilder and William Engvick. It was telecast once on NBC as a television special, and, as far as is known, never rebroadcast by NBC, or even restaged with a different cast as was Rodgers and Hammerstein's Cinderella. Nor has it ever been issued on VHS or DVD. Other notable actors who appeared in the special included Walter Slezak, Fran Allison, Martyn Green, Jerry Colonna, and Stubby Kaye as a Town Crier, a role he repeated in Wilder and Engvick's 1958 television musical, Hansel and Gretel. Pinocchio was directed by noted Broadway choreographer Hanya Holm. Hansel and Gretel is a musical adaptation of the Brothers Grimm story. It was directed by Paul Bogart and broadcast as a live television special on NBC on April 27, 1958. It is one of a long series of fantasies presented on television as musical specials after the enormously successful first two telecasts of the Mary Martin Peter Pan. But Hansel and Gretel did not repeat the success of Peter Pan or several of the other specials. It was shown only once, then lapsed into obscurity, although a cast album was issued. The album, also long forgotten, has recently been issued on compact disc. The Citadel is a 1960 American television adaptation of A. J. Cronin's 1937 novel The Citadel. It was written by Dale Wasserman and directed by Paul Bogart. It starred James Donald as Dr. Manson and Ann Blyth as Christine Barlow. Other television versions include two British and two Italian adaptations. Rosalind Theresa Cash was an American singer and actress. Her best known film role is as Charlton Heston's character's love interest Lisa, in the 1971 science fiction film, The Omega Man. Cash also had another notable role to the soap opera audiences as Mary Mae Ward on the ABC's General Hospital, a role she portrayed from 1994 until her death in 1995. 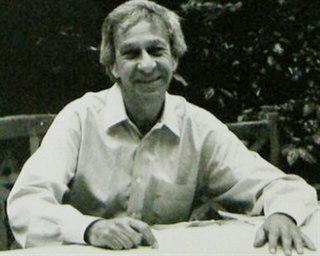 Stanley Myers was a British film composer who scored over sixty films. He is best known for his guitar piece "Cavatina". Richard Warren Schickel was an American film historian, journalist, author, documentarian, and film and literary critic. He was a film critic for Time magazine from 1965–2010, and also wrote for Life magazine and the Los Angeles Times Book Review. His last writings about film were for Truthdig. Logan Carlisle Ramsey, Jr. was an American character actor of television and film for nearly 50 years. Fabio Testi is an Italian film actor, notable as the star of, among other films, First Action Hero and The Inheritance. Tony Palmer is a British film director and author. His work includes over 100 films, ranging from early works with The Beatles, Cream, Jimi Hendrix, Rory Gallagher and Frank Zappa, to his classical portraits which include profiles of Maria Callas, Margot Fonteyn, John Osborne, Igor Stravinsky, Richard Wagner, Yehudi Menuhin, Carl Orff, Benjamin Britten and Ralph Vaughan Williams. He is also a stage director of theatre and opera. Robert Ellis Miller was an American film director. Oh, God! You Devil is a 1984 American comedy film starring George Burns, Ted Wass, Ron Silver and Roxanne Hart. Directed by Paul Bogart and produced by Robert M. Sherman. The screenplay is by Andrew Bergman. Oh, God! You Devil is the third and final installment in the Oh, God! film series following Oh, God! (1977) and Oh, God! Book II (1980), based on the novel of the same title by Avery Corman. David Hugh Jones was an English stage, television and film director. Luciano Pigozzi, also known professionally as Alan Collins, was an Italian character actor. A long-time staple of Italian genre cinema, Pigozzi was noted for his resemblance to Peter Lorre and appeared in such films as Human Cobras, Yor, the Hunter from the Future, Ivanhoe, the Norman Swordsman, Blood and Black Lace, Libido and perhaps his goriest role in Baron Blood. Lau Kar Wing is a Hong Kong martial arts film director, action choreographer and actor. Peter Matz was an American musician, composer, arranger and conductor. His musical career in film, theater, television and studio recording spanned fifty years, and he worked with a number of prominent artists, including Marlene Dietrich, Noël Coward and Barbra Streisand. Matz won three Emmys and a Grammy Award, and is best known for his work on Streisand's early albums. Peter Wesley Wooley was an American film producer, author, director, and production designer with 85 films and television Series to his credit, including the Mel Brooks' films Blazing Saddles and High Anxiety. He was nominated for an Emmy Award for Production Design of the movie The Day After. David Martin Walsh is an American cinematographer. He worked with film directors including Woody Allen, Herbert Ross, and Arthur Hiller. ↑ Martin, Douglas (April 18, 2012). "Paul Bogart, TV Director, Dies at 92". The New York Times . p. A25. Retrieved April 19, 2012. ↑ Maslin, Janet (November 9, 1984). "Oh God You Devil (1984) MOVIES: BURNS IN 'OH GOD! YOU DEVIL'". The New York Times . Retrieved 21 June 2015. ↑ Maslin, Janet (December 14, 1988). 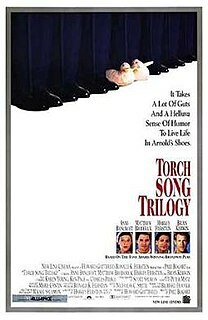 "Torch Song Trilogy (1988) Review/Film; A Bittersweet View of the Gay Life". The New York Times . The Interviews: An Oral History of Television is a project of the nonprofit Academy of Television Arts & Sciences Foundation in North Hollywood, Los Angeles that records interviews with notable people from all aspects of the television industry.